Well… perhaps. I’ve been quite saddened lately since we lost Lucy last August, and Angel the May before. And Levi is 12, and he’s going downhill, unfortunately. So I kinda feel like I’m running out of collies. The original plan was to get another Danish-Swedish Farmdog next year, before or after I retire. But I’ve actually been talking to a quite wonderful collie breeder (who will remain nameless for the time being) who is breeding this year. I’m still looking around a bit, though, so nothing is in stone. 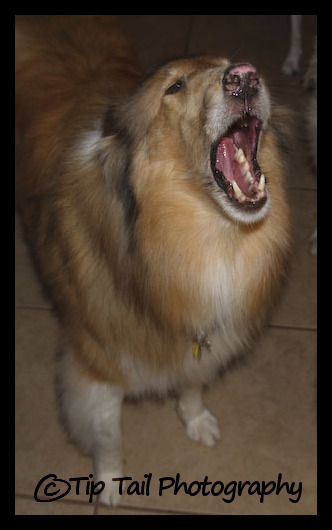 But I would love to have a drivey collie to do sports with. Agility and obedience mainly. Tracking, Herding, Flyball, if possible. I hope the Danish-Swedish Farmdog breeders will still consider me in the future, since I do want another. Probably in 2014 now. I do want to get another DSF while Jet is still young. He loves to play with the small dogs we meet. So perhaps a collie puppy will join our house this year. I am looking forward to it. It may not work out, but you just never know. 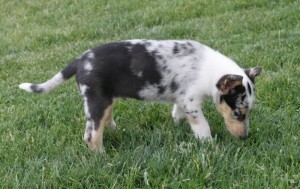 My wish would be to get a blue-headed white collie. White collies are beautiful, and very healthy. 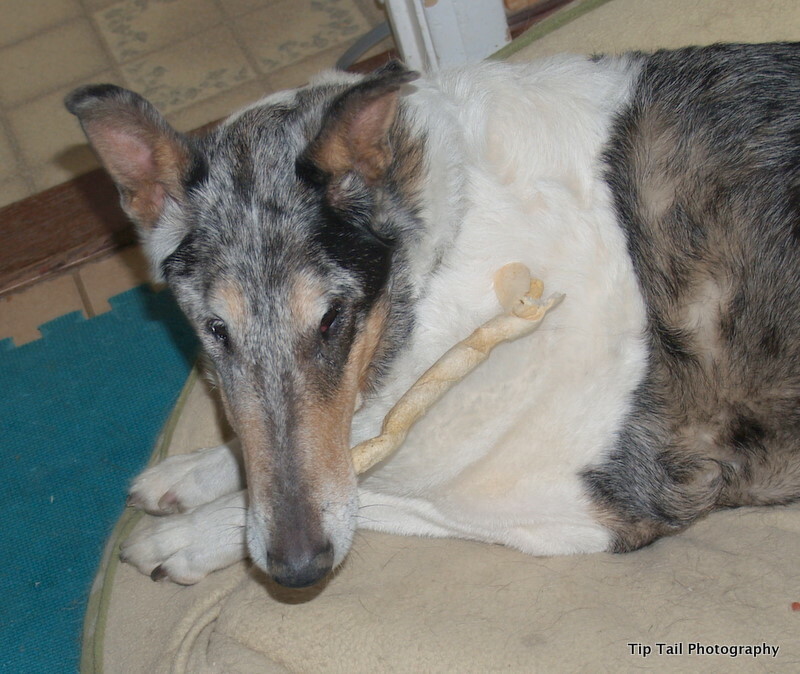 There are unhealthy white collies but they have two merle genes and can be born deaf and blind. A healthy white collie has two copies of the white gene, which are separate from the merle gene. But I may end up with a blue or a tri. It all depends on what is born and who is right for me. I do want another smooth. I just don’t like all the hair! So we may get back up to six dogs before we go down to five again. Loosing Levi will hurt very, very much. Jet is almost three. Tatum is almost six. Muffit is about 7 and Chase is 8.5. So really I’d be okay taking another puppy training on. Chase may have another year left, but perhaps not much more than that. Muffit I don’t train, he’s my husband’s hiking dog. Tatum I train only occasionally. Jet is my main training and competing dog. So adding another dog for competition would be just fine. 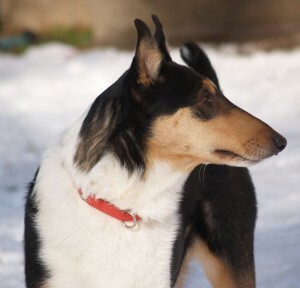 I’d show a collie in conformation, too. Why not. Done it before, and I do love that Levi has his championship. So I will need to retire… because I have to much I want to do! Sasha Has Pemphigus But Is Healing! Well I am very happy to report that Sasha is doing so much better! I went to visit her a couple of days ago, and dropped Lily of to her new home (yup Sasha’s foster wants to keep Lily!) and I was amazed by how much Sasha’s nose has healed up. Sasha looks so great! She even has hair starting to grow back. And it hasn’t been that long. 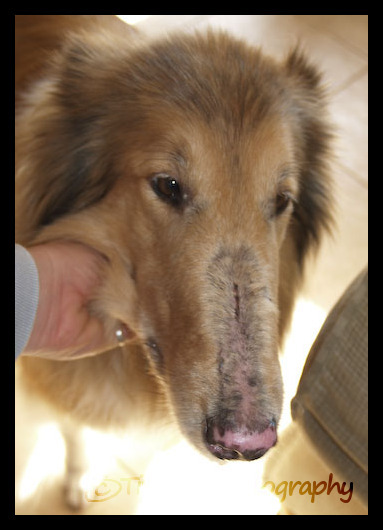 The biospy of her nose came back, and as the vet feared, she has Canine Pemphigus. However, it appears to be one of the milder forms. It’s an autoimmune disease and she’ll have it her whole life. But the vet is hoping (and so are we) that we will be able to control the outbreaks with tetracycline and vitamin B3. Sasha’s foster Mom has been putting neosporin on her nose and that, it seems, has helped too. Along with a healthy diet and a good environment, we all think Sasha will be just fine! I’m so releived and excited. It is possible she could get worse, not better… and then she might have to go on steroids. However, with her already healing up, I think the possibility of her on steroids is quite low. And we have someone who may be interested in adopting her, too. I have been honest about her condition (I couldn’t be otherwise, lol, since I’m scrapbooking her progress here on my blog), but hopefully her condition won’t dissuade a potential adopter. I’m just thrilled that she is doing so well. We did get her prescriptions filled from the doctor, and her foster Mom is giving them to her. Eventually we will back her medications off to see what the minimum acceptable dosage is to keep her collie nose outbreaks under control. Otherwise, Sasha doesn’t care she has a scabby nose. She’s as happy as a clam and such a cute wonderful collie girl! We still are a bit behind on funds in Utah Collie Rescue, we haven’t quite covered her bills, even with donations. Hopefully her adoption fee will help pay for some of her medical as well. 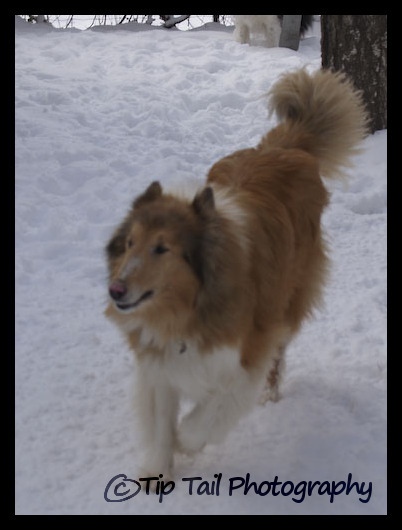 Author CynthiaPosted on 31 December, 2008 7 February, 2014 Categories RescueTags Collie, Rescue, Sasha6 Comments on Sasha Has Pemphigus But Is Healing!